If there’s one thing that has surprised me throughout this pregnancy, (aside from this immense list of course) it’s just how much I’ve enjoyed dressing my bump. Aside from the time when my knickers started causing all sorts of circulation problems and an array of other bizarre body changes that pregnancy brings, I don’t think I’ve ever felt this comfortable in my own body. Particularly when it comes to dressing my bump. Don’t get me wrong, there are still days when I could quite happily leave the house in my PJ’s, but I’ve honestly loved the refreshing change of my maternity wardrobe thanks to my new shape. One particular brand that I’ve not only relied on, but have been honestly impressed with throughout my pregnancy is New Look. Their extensive range of maternity wear, (which can be mooched through here) is current, comfortable and affordable. Having spent a considerable amount of time perusing through online maternity ranges, it’s clear that there are only a few brands out there who understand that just because we’re up the duff, us pregnant chicks haven’t aged a hundred years. Yes we might be walking slower, opting for early nights in with our hulk feet up, and indulging in jars of Nutella rather than hitting the town and bottles of prosecco (oh how I miss you), but we’re still the same person we were before. Just less, happening shall we say. We’re still young (ish) and want to keep in with the usual trends and styles hitting the high street…so long as they meet the needs of our ever growing bodies of course. 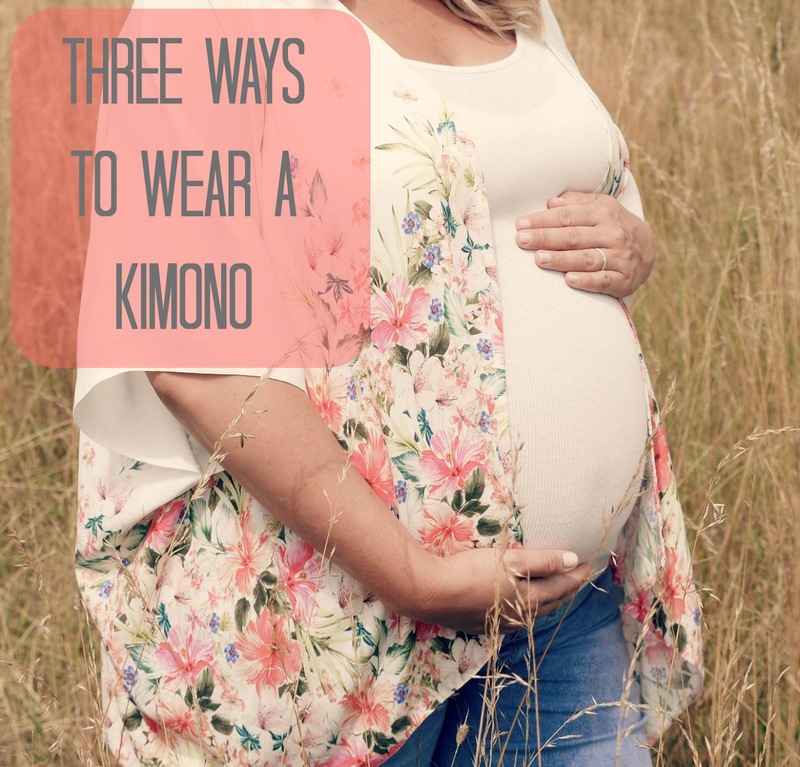 So when New Look asked if I’d like to take part in their Three Ways To Wear A Kimono campaign, featuring their maternity clothes styled with one of their summer kimonos, I jumped (well I can’t exactly jump…more of a shuffle) with excitement at the opportunity. The kimono is probably one of the most reliable items a pregnant chick can have in her wardrobe- particularly through the summer. It allows you to jazz up even the most casual of outfits without leaving you feeling restricted or frumpy. Always a bonus. What’s your favourite way to style a kimono? Let me know in the comments below…! 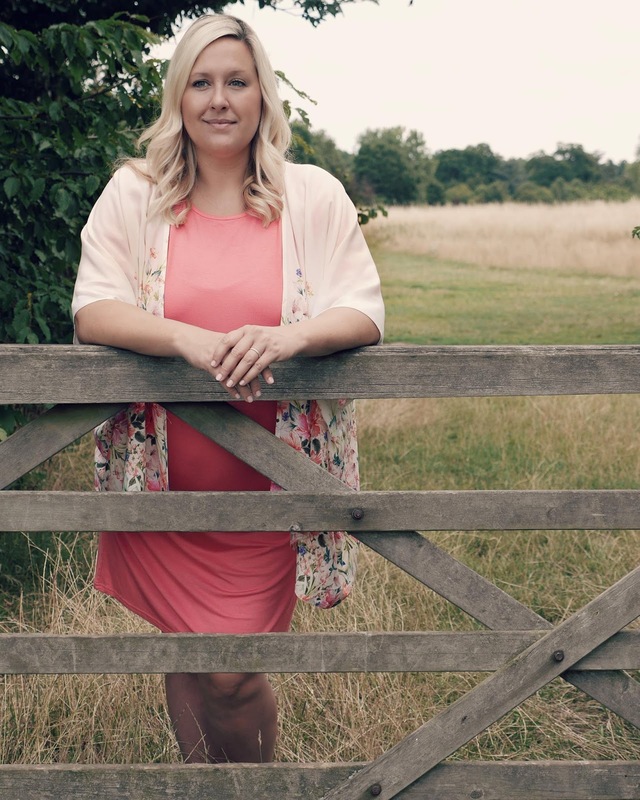 A huge thank you to The Chronicles Of… for taking the time to shoot these photographs for me…and for saving my clothes from being ruined but over-excited muddy dogs! I was kindly gifted some of the items featured in this post by New Look for the purpose of the campaign. As always, all opinions are my own and have not been influenced in any way. Thank you for supporting the brands that make this blog possible.